The two countries say they are inching closer towards elevating their defense relationship. From April 23 to April 27, Xu Qiliang, vice-chairman of the Central Military Commission of the Communist Party of China, traveled to Thailand for the weekend to discuss improving defense ties between the two countries. Xu’s trip, his second to Thailand in six months, is part of an uptick of visits between defense officials from both sides over the past few months. 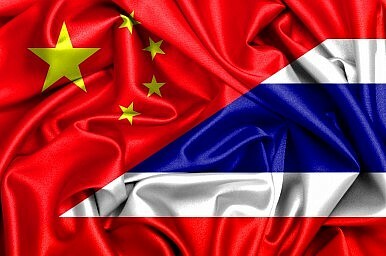 Following a coup last May and amid strained relations between the United States and its oldest Asian ally, China has been looking to opportunistically coddle Thailand’s non-democratic rulers, while Thailand, for its part, has been going out of its way to show Washington and the world that there are partners willing to do business without fretting about regime legitimacy. As I pointed out in a previous piece, with all this signaling, it is important to look at the actual substance of Sino-Thai military cooperation before concluding that advances have been made. What, then, did Xu’s visit actually achieve, and what does it tell us about where Sino-Thai defense ties are heading? Xu’s weekend visit included meetings with Thai defense minister Prawit Wongsuwan and Thai prime minister Prayut Chan-o-cha. According to defense ministry spokesman Maj Gen. Kongcheep Tantrawanit, during Xu’s meeting with Prawit, Xu proposed the signing of a memorandum of understanding between the two countries’ defense ministries to increase military cooperation. The exact content of this agreement, however, is still not clear. Local media reports indicate that some measures discussed include expanding joint military exercises and training, enhancing defense industry cooperation and greater Chinese assistance in helping Thailand set up an ASEAN center for military medicine. Prawit reportedly called for the setting up of a special working group to study proposals advanced by both sides. Defense ties also featured prominently in Xu’s meeting with Prayut. According to government spokesman Yongyuth Mayalarp, Prayut suggested the setting up of a hotline between Thai and Chinese armed forces leaders and pledged better safety measures for Chinese tourists. Overall, it appears that while China and Thailand are serious about boosting their defense ties, both are still inching towards an agreement that would actually do so. Much like the much-hyped February visit of China’s defense minister Chang Wanquan to Thailand, which I covered here, several of the proposals floated were either not new or lacked specifics. This is not surprising, given the difficulty of actually operationalizing some of them. Take expanding joint military exercises, for example. As I pointed out in my earlier piece, this same idea was broached last November when Prawit visited Beijing and both sides agreed to conduct a joint air force exercise and to incorporate all three armed forces in full-scale bilateral military drills, rather than holding individual, issue-specific smaller exercises between different services as in the past. While some began sweating about a new era in Sino-Thai defense cooperation, sources suggested even then that while baby steps like joint training sessions for pilots would take place, a robust joint aerial exercise – let alone full-scale drills across all services – was still years away. Thus far, few details have been given as to what the timeline might be, and whether or not specific measures had actually been expedited. Of course, we might get more details in the months to come. But for now, as the title of this piece suggests, China and Thailand are still very much “eying” deepened defense ties. And as I’ve written earlier, given Thailand’s age-old reputation for balancing various powers, the low base that Bangkok and Beijing are building from, and the difficulties in operationalizing some cooperative endeavors, paying attention to the actual substance of ongoing discussions is important because there is often more – or perhaps less – than meets the eye. Bangkok’s long-deferred submarine quest could face yet another delay. How Did China Just Win Thailand’s New Submarine Bid?Did China Just Boost Military Ties with Thailand?China, Cambodia Hold First Naval Exercise Amid South China Sea FearsWhere Is the New China-Thailand Submarine Deal Headed?What’s Next for China-Thailand Defense Ties?